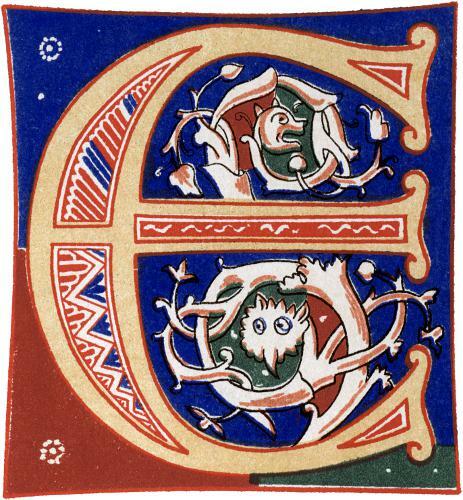 Decorative initial letter “E” from 11th century. A letter E in a late uncial tradition, complete with drolleries, or humorous creatures, in the vines in the counters, the spaces nside the letter. 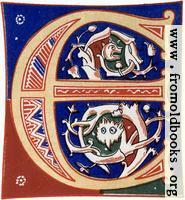 This E is in red, with a peach light orange filling, on a blue, red and green background. 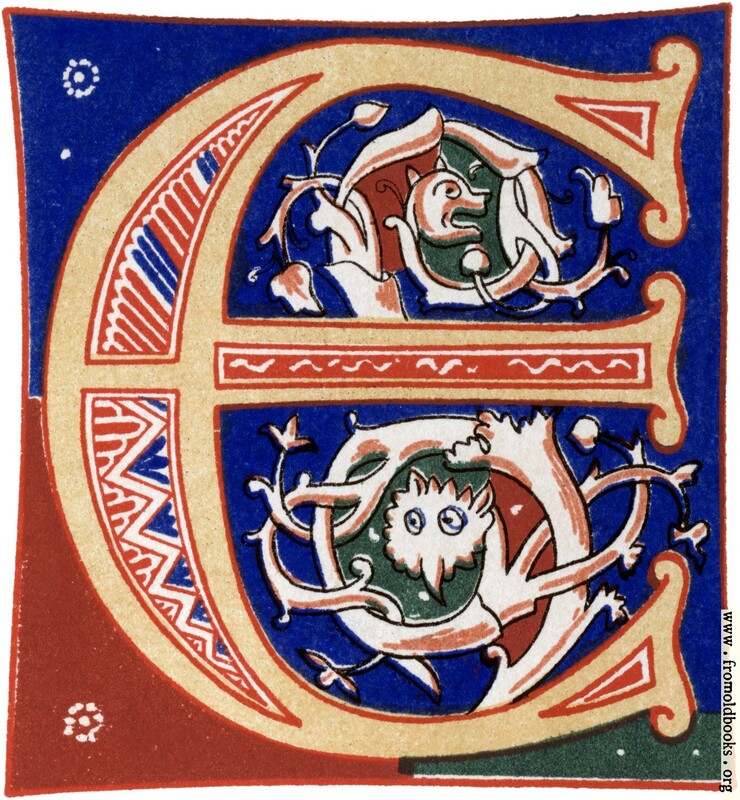 See the letter X for more information. 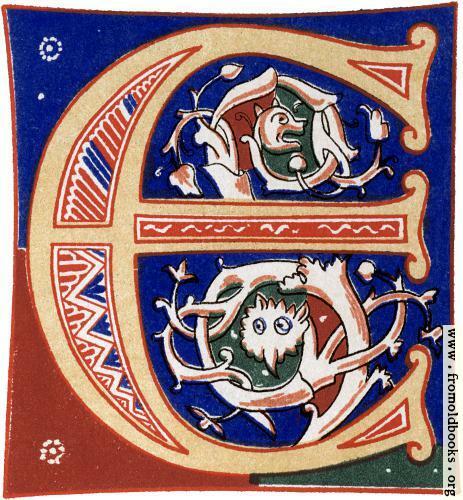 You could use this initial for a drop cap E, or even an M or W if you were hard-pressed, by rotating the image.